We, the undersigned, refer to the decision taken by the ICC Board (announced on April 16, 2015) to withhold payments owing by the ICC to Sri Lanka Cricket (SLC) and the decision to place the funds in an escrow account, following the appointment by the Government of Sri Lanka (GOSL) of an Interim Committee (IC) to govern SLC. Through this request, the Sri Lankan Public, seeks the ICC Board’s cooperation in assessing and considering the following facts, which forced the GOSL to act and appoint an IC. The purpose of this letter is to ensure the wellbeing of the sport in our country is preserved. Read the rest of this entry ? In 1932, Arthur Mailey organised a party of Australian cricketers to embark on a voyage of North America. 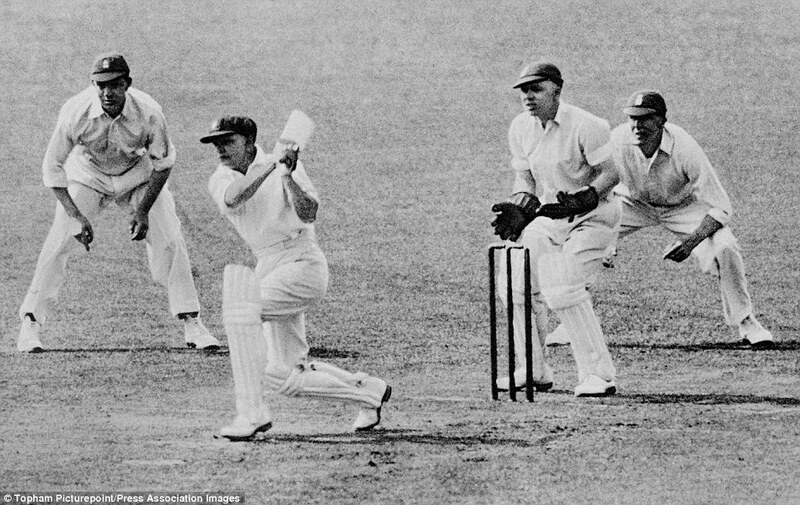 The star attraction of the tour was obviously Don Bradman – billed in United States and Canada as cricket’s Babe Ruth. 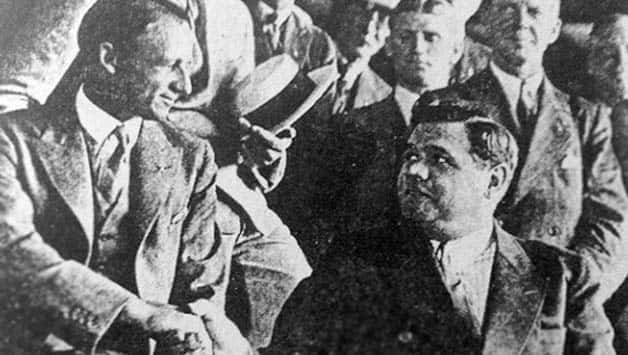 Arunabha Sengupta traces the quaint and enjoyable visit, ending with the seminal meeting of The Don and The Babe. It was early 1932 and Don Bradman was in a quandary. Obviously, it had nothing to do with his cricket. The previous season had seen him score 1403 runs at 116.92 and in a non-First Class game at Blackheath he had hammered 100 from three eight-ball overs. He was about take on a new job — a three way post with Associated Newspapers, 2UE Radio Station and FJ Palmer & Son Ltd, men and boys outfitters. Additionally, he was set to marry his childhood sweetheart Jessie Menzies on April 30. And around this time he was approached by Arthur Mailey, the former Australian leg-break googly bowler and one of the most colourful characters to have played the game. Don Bradman’s North American tour opens up on film … ABC News (Australia) …. https://www.youtube.com/watch?v=Ijx14YGtLbE&feature=em-share_video_user…. recovered from some spot in Canada … and introduced and elaborated upon by Mike Sexton, Simon Smith, Don Beard Malcolm Knox and Ian Chappell. The Australian team was captained by Victor Richardson of South Australia and his grand-nephew Ian Chappell adds some insider insights. But perhaps the most informative comments come from Bradman’s close friend Don Beard of Adelaide (himself an institution in the state). 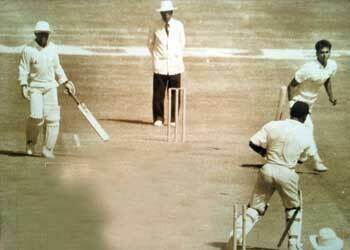 Wijegunawardene’s name will ring long in cricket’s memory as he bowled Viv Richards, the greatest of post-war batsman. He is only Chairman of Selectors in the world with that accomplishment. On that day, West Indies struggled against Sri Lanka’s swing bowlers. Wijegunawardene was the star with 2 for 30. The mighty West Indies limped to 176 for 9. Sri Lanka, led by the 25-year-old Arjuna Ranatunga, were electric in the field. Except for Desmond Haynes and to a lesser extent Richards, none of the West Indians applied themselves. They underestimated a team that had less international exposure than Ireland has today. Asanka Gurusinha, a determined plodder, was the batting star. His patient 66 was foundation for Sri Lanka’s chase. There was a late wobble when Sri Lanka lost three wickets for 45 runs. Athula Samarasekera and Hashan Tillakaratne, took Sri Lanka over the line with four wickets to spare. The cricketers were jubilant, but the victory received scant attention in Sri Lanka. Cricket was far from the country’s attention. The JVP insurrection was at its peak. Wijegunawardene’s journey to international cricket was long and hard. He had captained the elite S. Thomas’ College to defeat in the 1983 Big Match. After leaving school, Wijegunawardene developed a reputation as a fine bowler for Colombo Cricket Club. Ashantha de Mel, Rumesh Ratnayake and Vinothen John were ahead of him in the pecking order. They were quicker and abler. By 1988, he was knocking on the door, particularly as de Mel struggled with his fitness. Wijegunawardene’s career had great promise, but his international opportunities were extremely scarce. His ODI debut was in the Asia Cup in 1988, where he was instrumental in beating Pakistan. His Test debut was the one-off Test at Lords in 1991. He was nearly 27, which is when fast bowlers start to decline. Sri Lanka were crippled by Arjuna Ranatunga’s suspension. 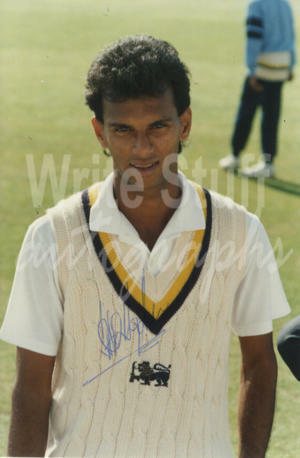 Wijegunawardene was used sparingly by Aravinda de Silva. He went wicketless. The length of his surname was a severe challenge to the condescending commentators. Brian Johnston wished that Sri Lanka had picked Vinothen John instead, as his name was shorter. His final Test provided a fleeting glimpse of his talent. In his second and final Test against Pakistan at Faisalabad he had a match analysis of 7/98. In the second innings he took 4 for 51, which took Sri Lanka within sight of victory. But, it was not to be, as the batting faltered. There were murmurs that Wijegunawardene would play during the 1992 Australian tour of Sri Lanka. However, Sri Lanka turned to spin in that series. A slim 20 year-old called Muttiah Muralitharan made his debut. Kapila then chose to focus on his career as a Business Executive at Maharajas. 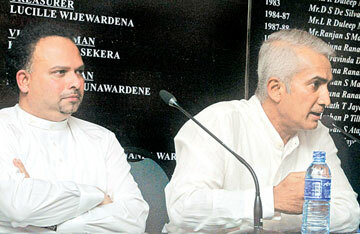 Wijegunawardene’s appointment revives memories of Sri Lanka’s early hardship. The country was deprived of his talent due to the cricket drought. He may make up for it by finding new blood at a time of transition. Sanath Jayasuriya, the previous Chairman, had a mixed record. The committee introduced two paid selectors, which is an excellent move. Jayasuriya’s pedigree was an asset. But, the committee was basically a one-man show. Not even a blade of grass could grow under the Sanath Jayasuriya Banyan tree. Jayasuriya’s main fault was the chaotic leadership appointments. Sri Lanka introduced a new concept to cricket – the tag team captaincy. Angelo Matthews was captain only in name. The old firm of Kumar Sangakkara and Mahela Jayawardene openly set the field. TM Dilshan added his two cents worth. Dinesh Chandimal was given the Test and ODI vice-captaincy before he cemented his place. He was also the T20 captain, but was displaced by Lasith Malinga. Chandimal could not handle it. 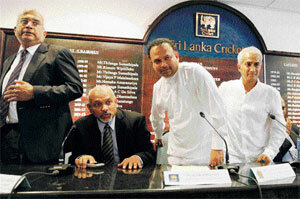 Things took a turn for the worse with Lahiru Thirimanne’s appointment, whose credential are even worse than Chandimal’s. During the World Cup, there were seven captains in the playing eleven. Wijegunawardene can rectify Jayasuriya’s faults. His committee includes Hemantha Wickramaratne, who retired in 2009 after 20 years of club cricket. If Wijegunawardene can find some bowlers that can rattle Viv Richards, then he will deserve the adoration that has eluded him. 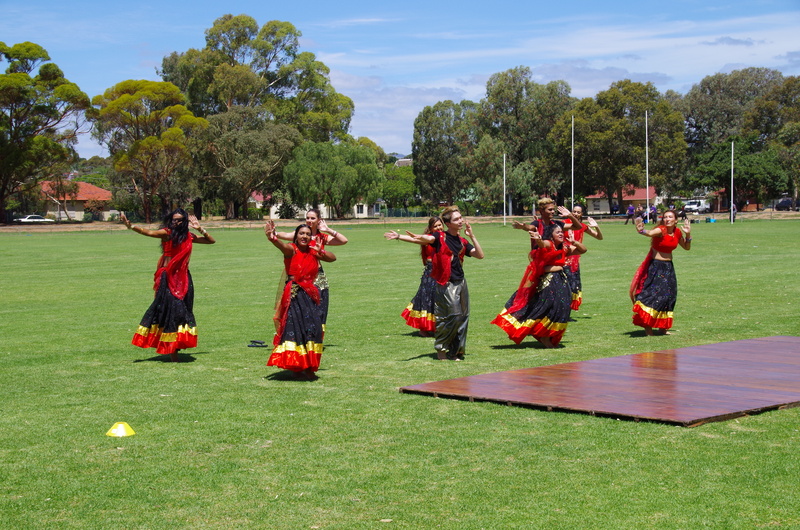 Local Indian and Pakistani community celebrate an inaugural SACA cricket event. The excitement of one of the biggest cricket matches in World Cup history is not lost on the local Indian and Pakistani community and was celebrated in an inaugural cricket event run by SACA in January. More than 1000 people turned up to Kilburn Cricket Club on 18 January to celebrate the inaugural Friendship Cup played between Indian and Pakistani community teams. The Friendship Cup Twenty20 match was a collaboration of the Multicultural Sports and Community Club (MSCC) and the South Australian Cricket Association, and brought together two of the world’s biggest cricketing nations, India and Pakistan, ahead of Adelaide’s blockbuster ICC Cricket World Cup clash between the two sides on Sunday 15 February. Sports Minister Navin Dissanayake said that Jayawardene, 37, has consented to a futuristic role in restructuring the schools and junior level cricket. Jayawardene, who retired from ODIs after the World Cup, was one of the finest batsmen to come through the highly competitive school cricket set up. He was a brilliant batsman for Nalanda College in Colombo, which has produced so many Sri Lankan internationals, including Sri Lanka’s first Test captain Bandula Warnapura. Read the rest of this entry ? You are currently browsing the Critiquing Cricket blog archives for April, 2015.